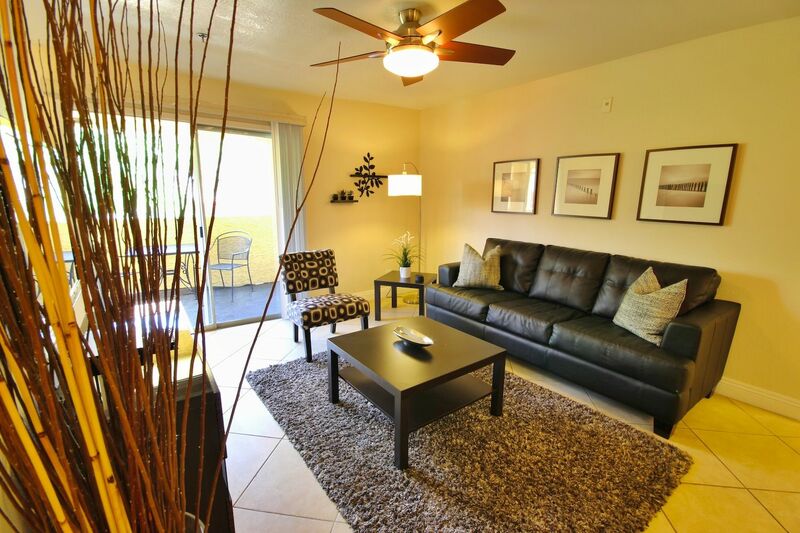 Searching for suitable corporate housing rentals Las Vegas can be a somewhat changeling, short of booking an extended stay room. 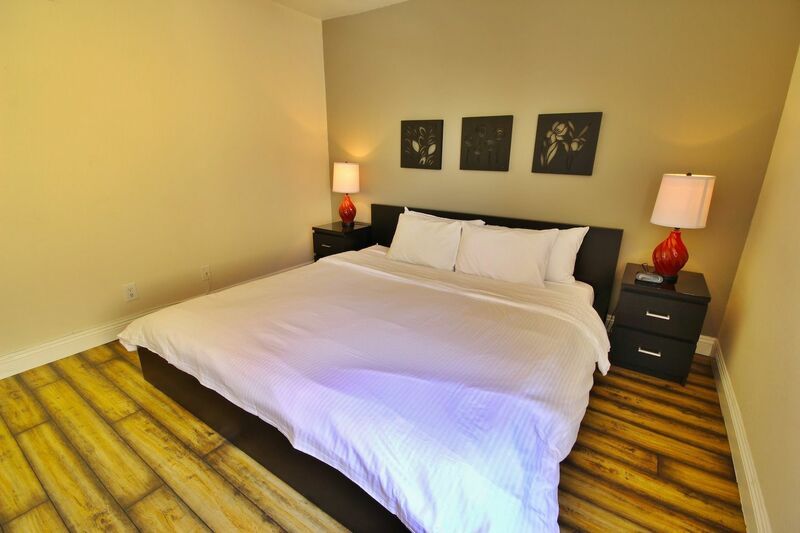 We offer premium fully furnished corporate rental housing such as “SOHO” Listing #228, centrally located just one mile from the Strip. 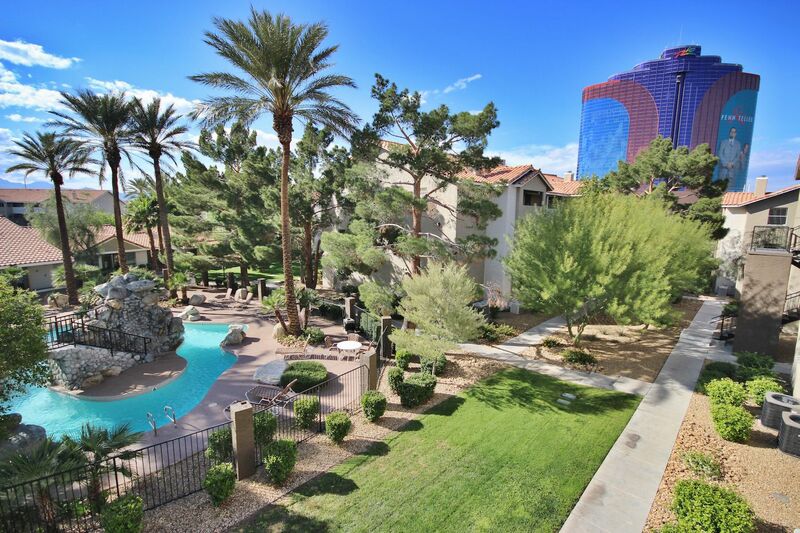 This property has easy access to the entire Valley just one block from the I-15 freeway and one block from the Palms Resort and The Rio. 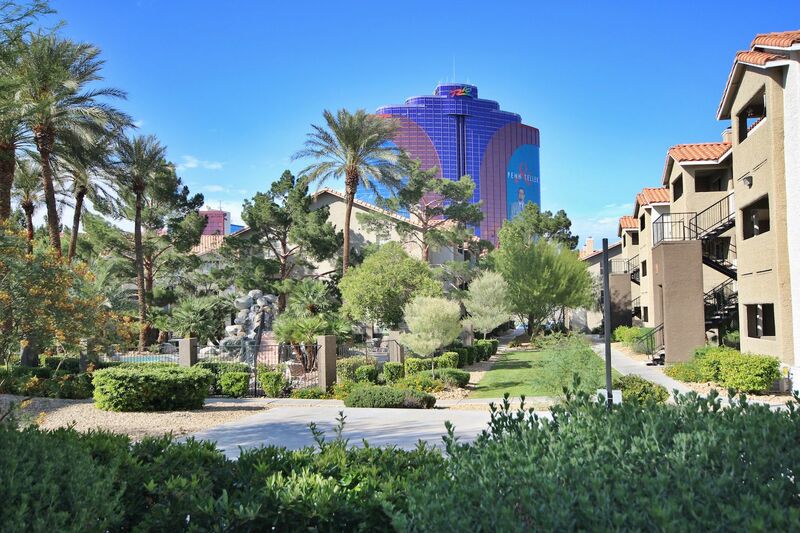 Enjoy some of the best entertainment and nightlife that Las Vegas offers just walking distance from your front door. 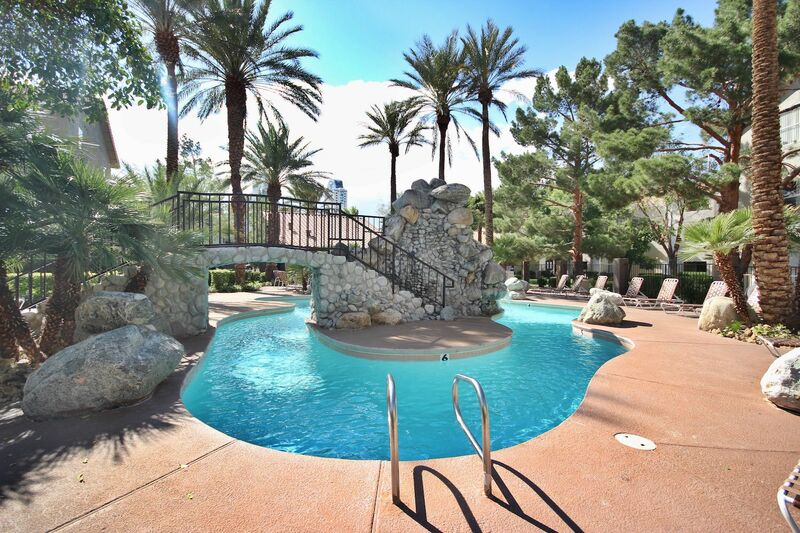 The 24 hour guard gated community of Flamingo Palm Villas is situated just off of Flamingo Rd and Valley View Drive and offers our residents 2 pools and a jacuzzi. 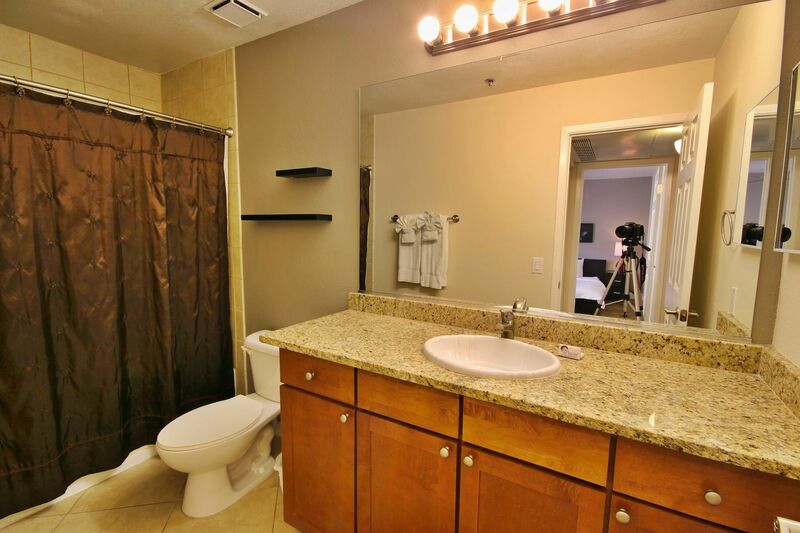 The interior of this attractive and modern 2 bedroom 2 bathroom condo has been upgraded through out with tile and hardwood floors (no carpet), granite countertops, oversized bathtubs and much more. 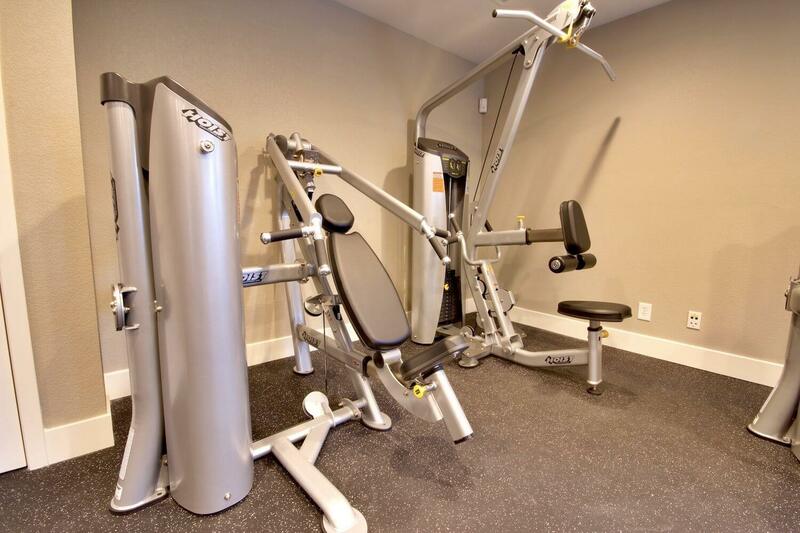 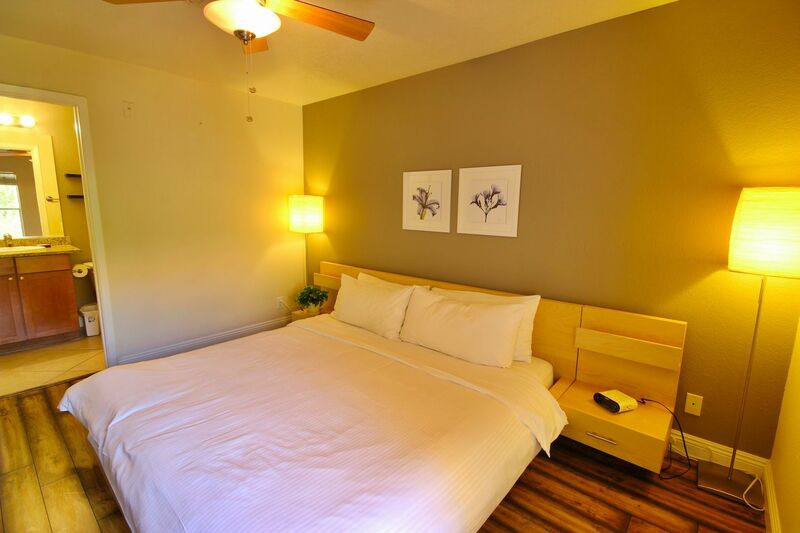 For your convenience, included in the furnishing are all housewares, kitchenwares, linens and towels. 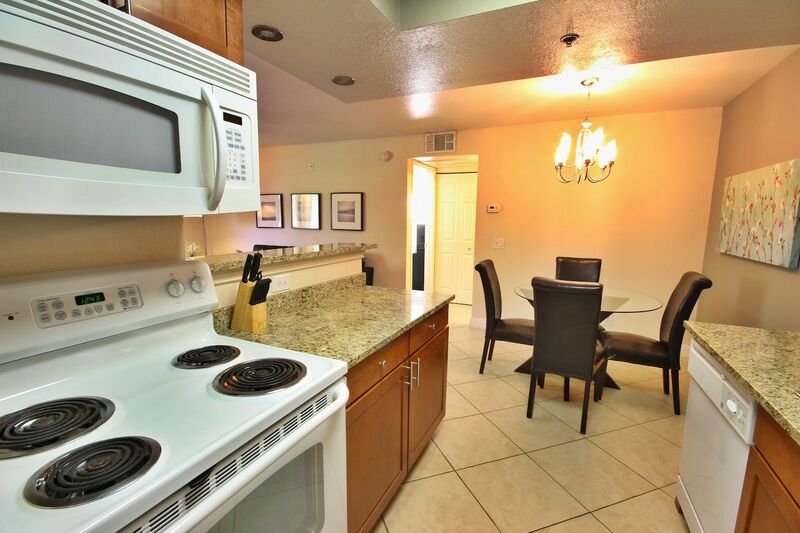 The full kitchen includes full sized appliances for complete cooking potential. 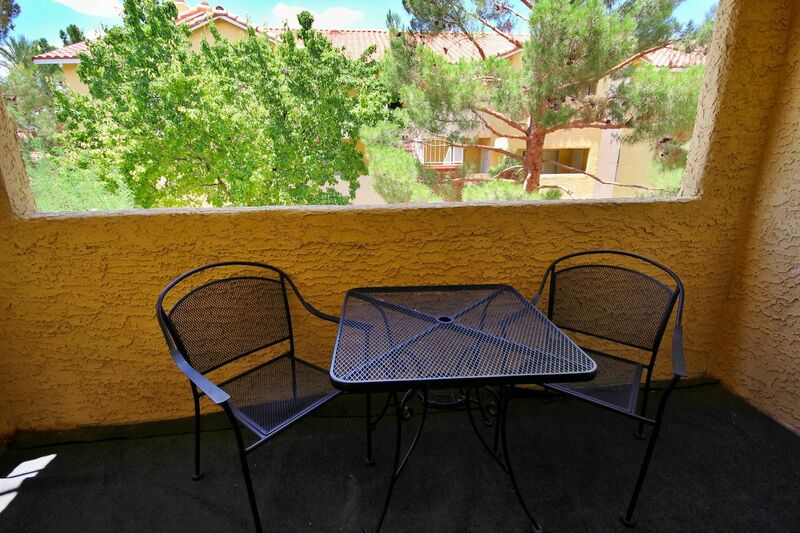 The private balcony has seating and table, overlooking the landscaped walking path area. 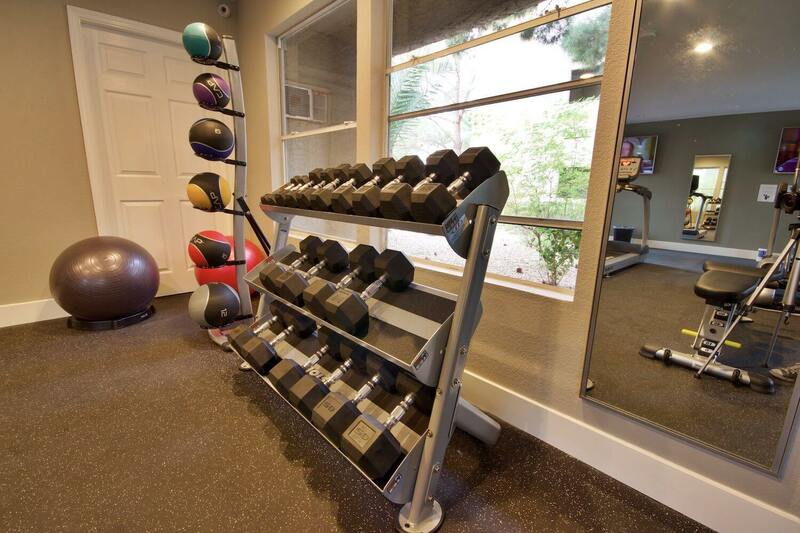 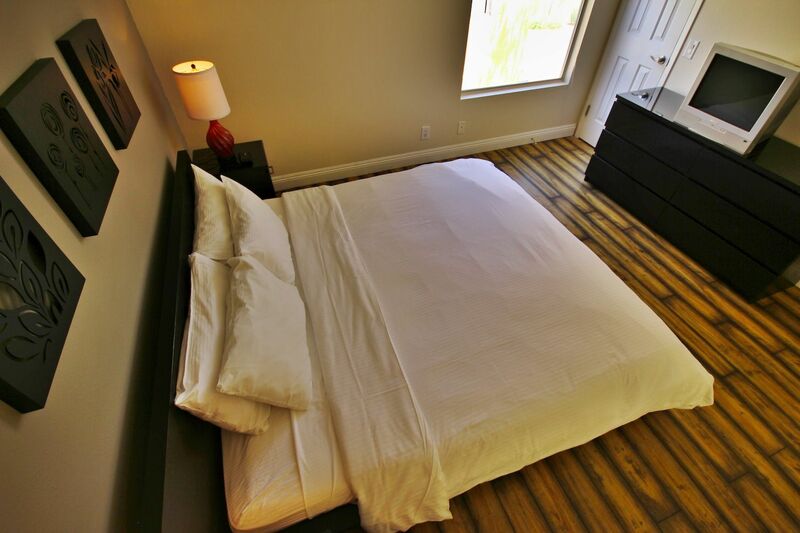 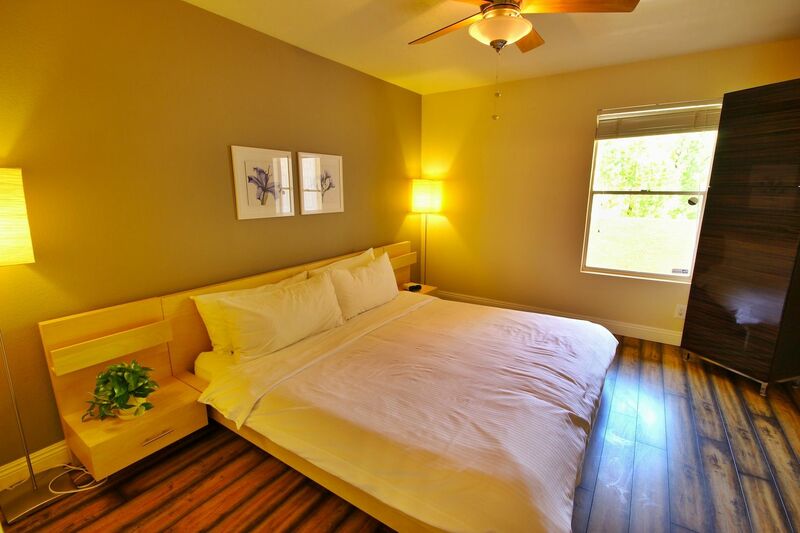 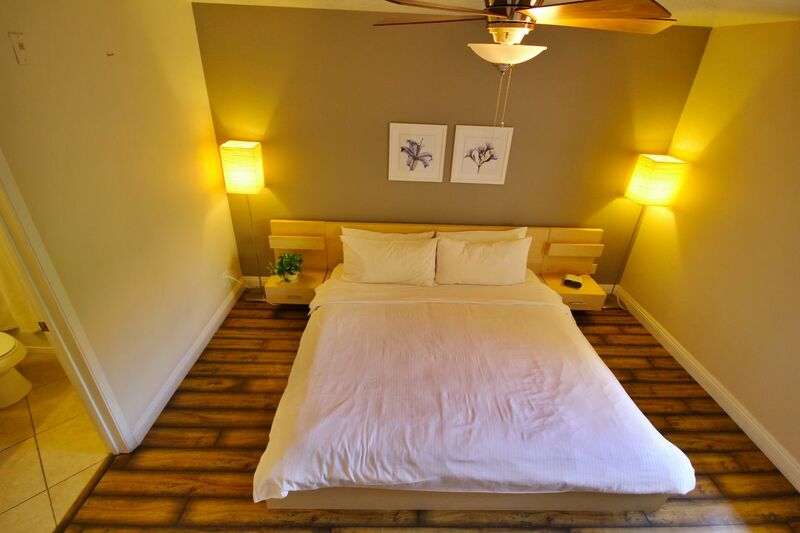 The master bedroom has a king size bed, walk-in closet, and private attached master bathroom. 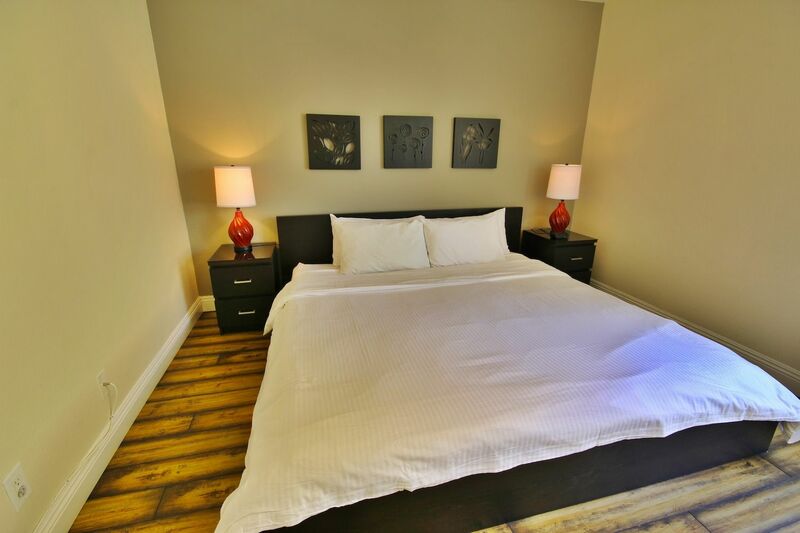 The 2nd bedroom also has a king size bed and walk-in closet, the 2nd bathroom is just outside the door. 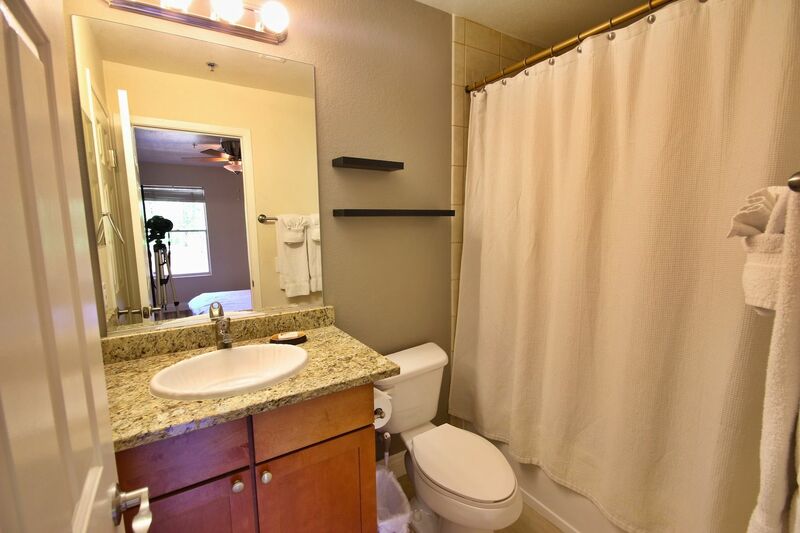 The laundry area is inside of the condo has a full size set of washer and dryer, making laundry time a breeze! 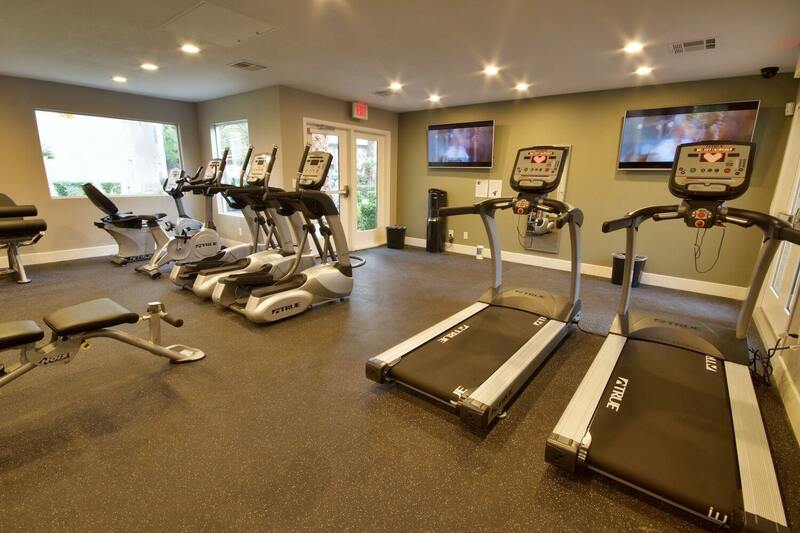 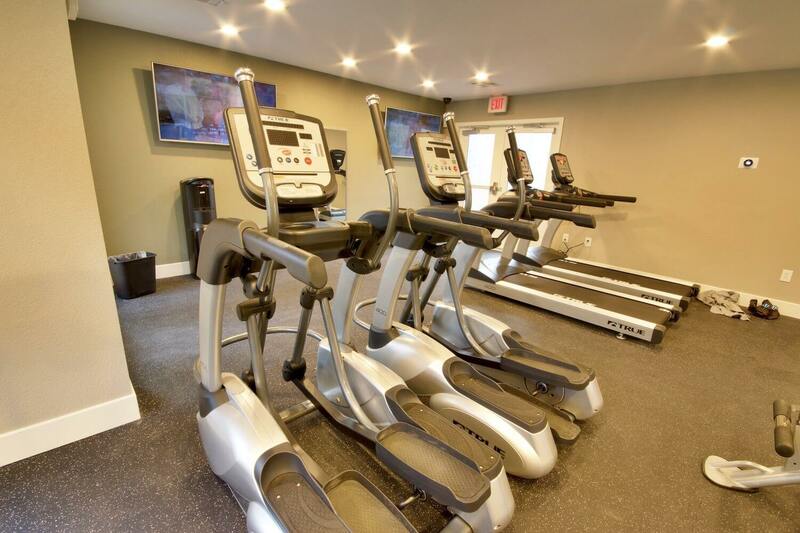 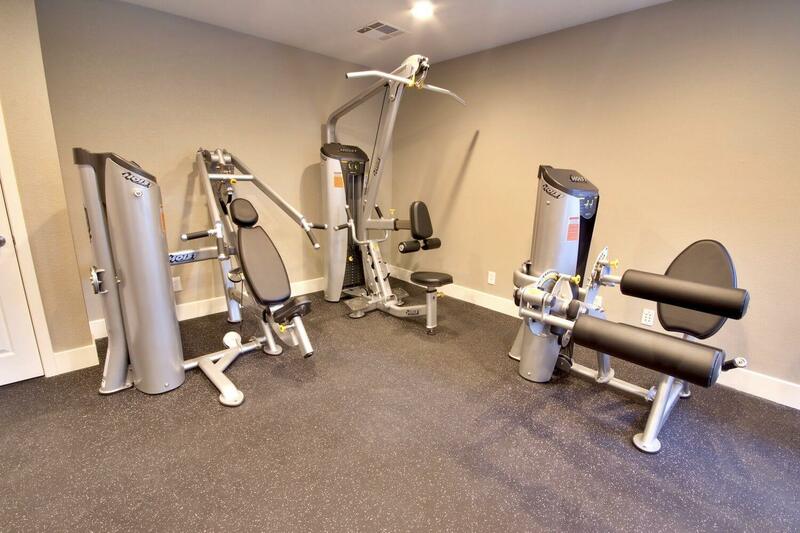 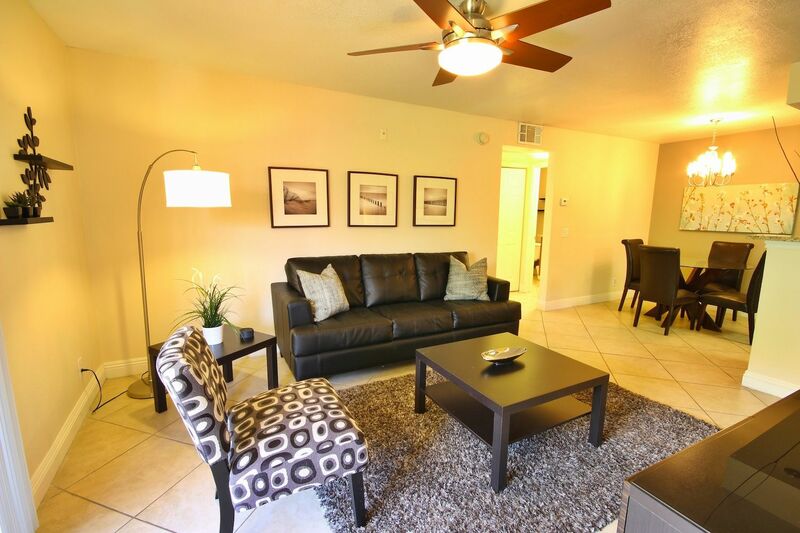 As with all of our corporate housing rentals las vegas, we include all utilities, cable TV and WIFI internet in the affordable monthly rental rate. 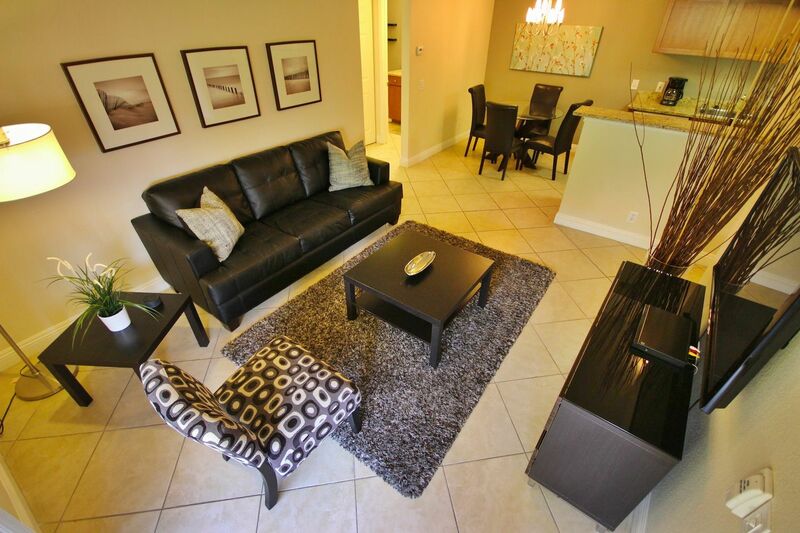 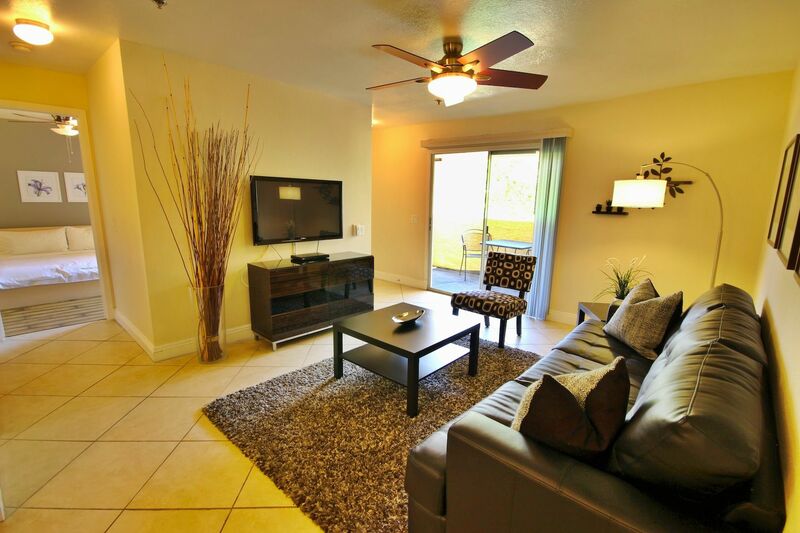 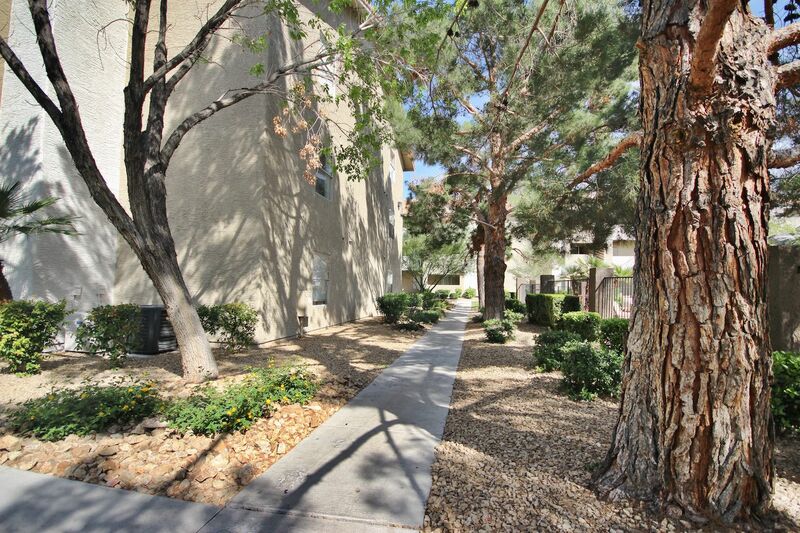 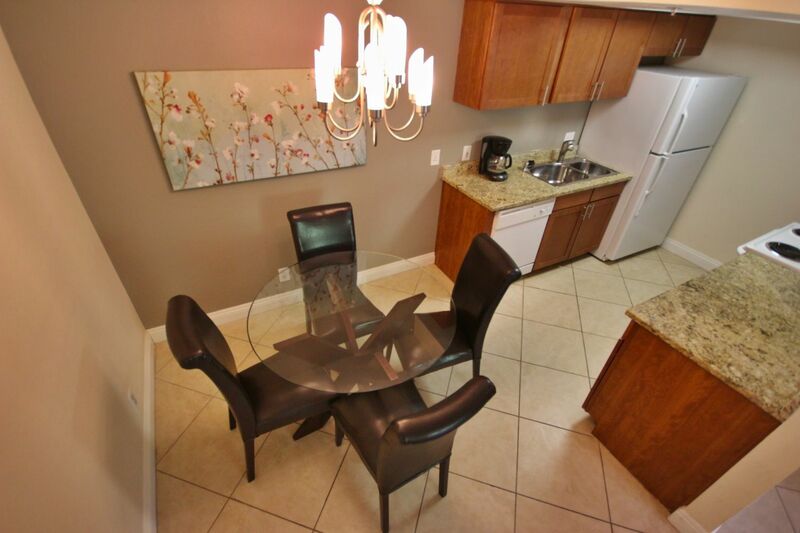 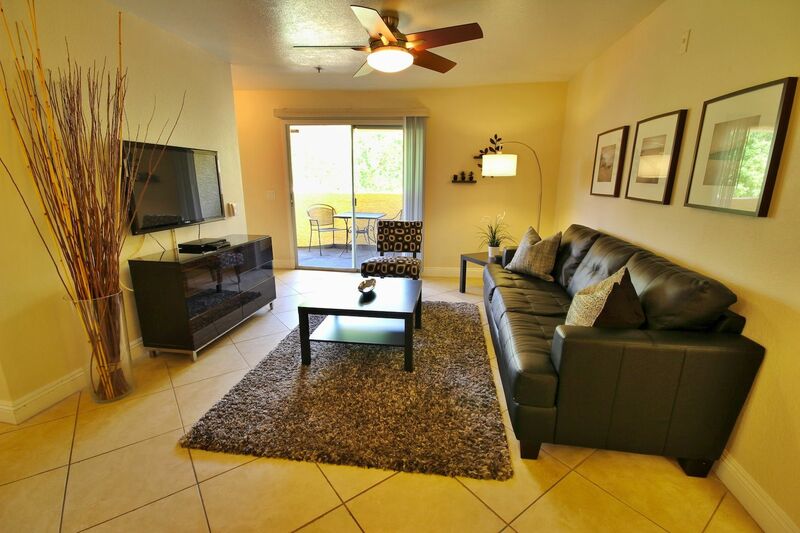 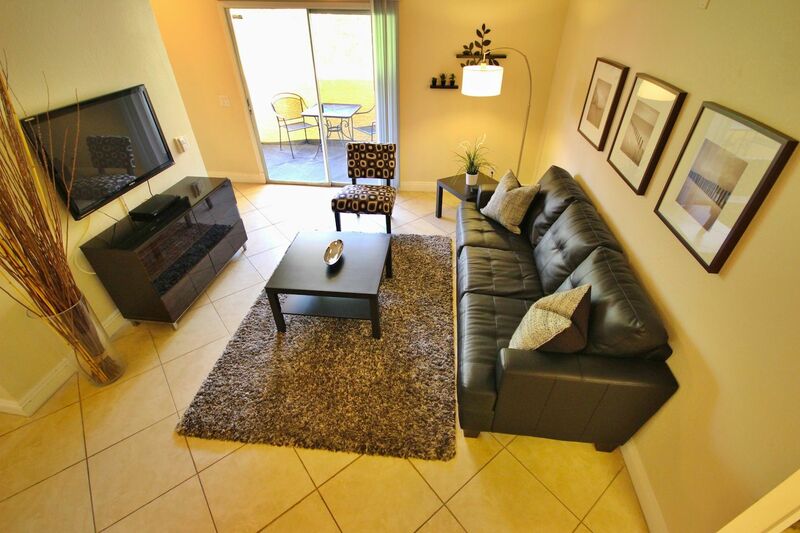 Just bring your suit case and enjoy your one of our amazing corporate housing rentals Las Vegas!